We are busy working on all aspect of the Revival Retreat. There are still some Work Trade spots available. 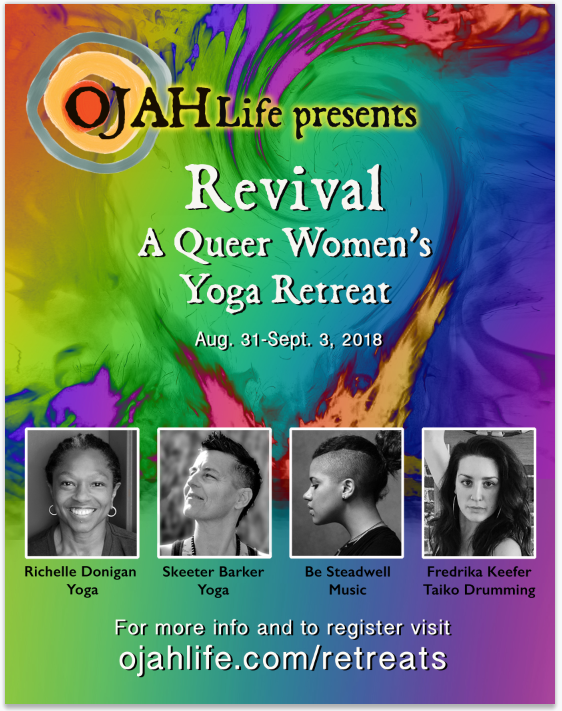 You pay half of the offering for the retreat and join us in setting up for our Retreat. This is one of the most incredible & magical times we spend on the land, getting it ready for our community to arrive. Day 1: We arrive on Tuesday (August 28th), usually sometime in the afternoon. We unpack and set up camp or the room that we will be in and walk the land, visiting each space and determining what our work will be for the following 3 days Wednesday, Thursday and Friday Morning. We share food, make something fabulous and go to the River and swim, and float and skip rocks and repeat. We head back up to the house and take a nap or rest for a bit, then we clean the part of the kitchen that we will be using before we go crazy on the whole thing, prepare dinner, share stories, make a plan then go to bed, earlyish. Day 2: We clean and unpack and clear and clean and make things beautiful. We sage everything, I mean everything including ourselves along the way. We do this early before the sun gets too high. In the middle of the day we go to the River and swim, and float and skip rocks and repeat, we eat and rest and when the sun begins to go down a bit we resume our cleaning, beautifying, clearing and loving up the spaces and the land. Day 4: Our family arrives we welcome them home. The finale: They leave Monday, we hang back. Have a great meal stay and pack up the next day (September 4). Visit the River, say goodbye. We have a good time, we eat well and have time with the land. First dibs on camp spot, share our stories and have a great playlist going. There are only a few spots so if you want it come and get it. What is the offering for work trade? What are the work trade dates? August 28th through September 4th (when we pack up and leave). If this sounds like s good work trade situation and you can commit to the whole time then please call richelle at 510 484-1085. We want to get to know you a bit on the phone if we don't already. Or, send us a note with your interest and we'll be in touch. Please include your phone number.